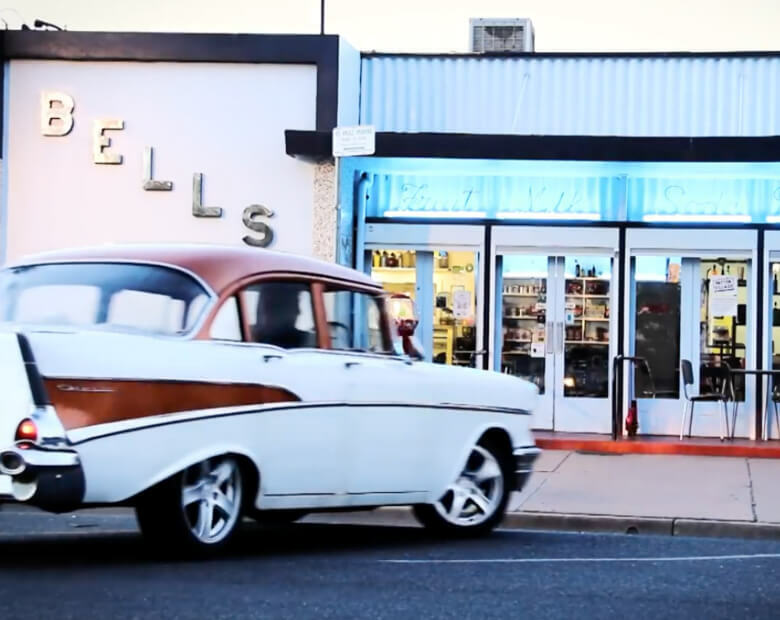 Broken Hill has something for everyone; the creative, the adventurers, and those who are here to help our town run smoothly. 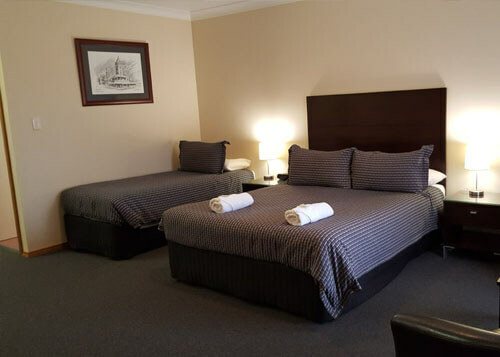 Our goal is to ensure that whatever your reason for visiting, your stay in our motel has all you need to make the most of your time in our unique part of the world – Australia’s first National Heritage Listed City. Our team is working every day to provide the perfect oasis in the desert for you. We have all the inside information on the “must do’s”; from art galleries and museums to city and lake tours. 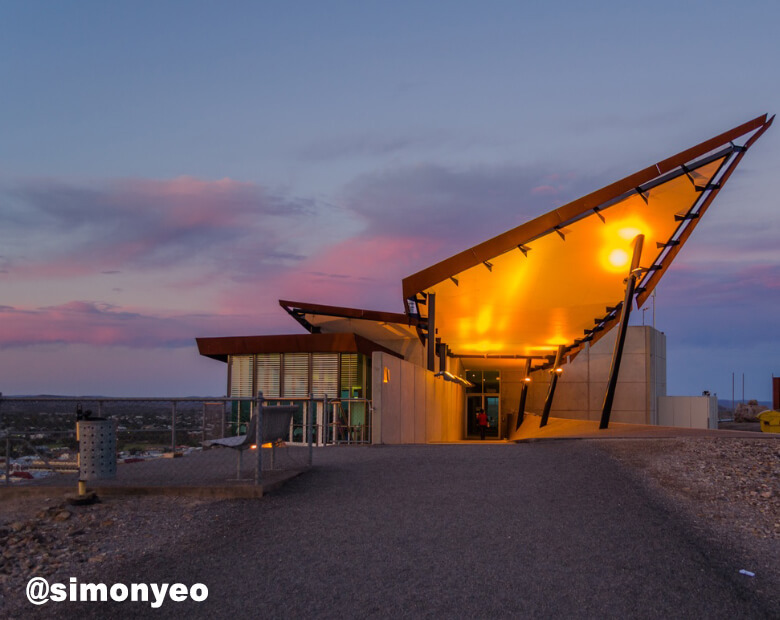 We can also point you to the locations of some of the most breath-taking sunsets you will ever see, not to mention superb restaurants and great coffee spots. Our rooms are modern and spacious; decorated in warm relaxing tones ensuring a welcoming ambiance for our guests. 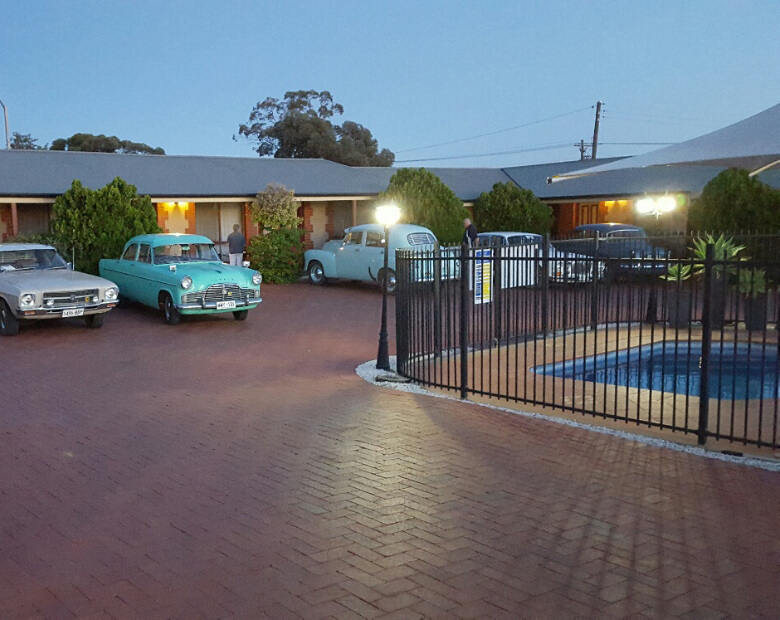 Set back from the road, our family run motel boasts a quiet and private location and is shaded by shrubs and cool colonial verandahs. 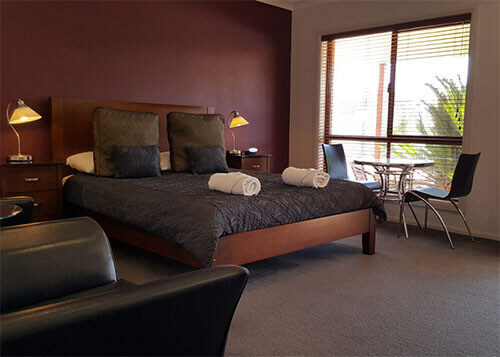 The Gateway Motor Inn is an ideal oasis in the outback and we feel confident you will be comfortable in our well appointed rooms whether in town for business or pleasure. We look forward to welcoming you to our special part of the world. Our Queen room has two comfortable leather chairs to rest on and table and chairs inside the room. The fridge is stocked with refreshments, fresh milk is delivered for your in-room coffee/tea making facilities and the option of breakfast in bed daily. 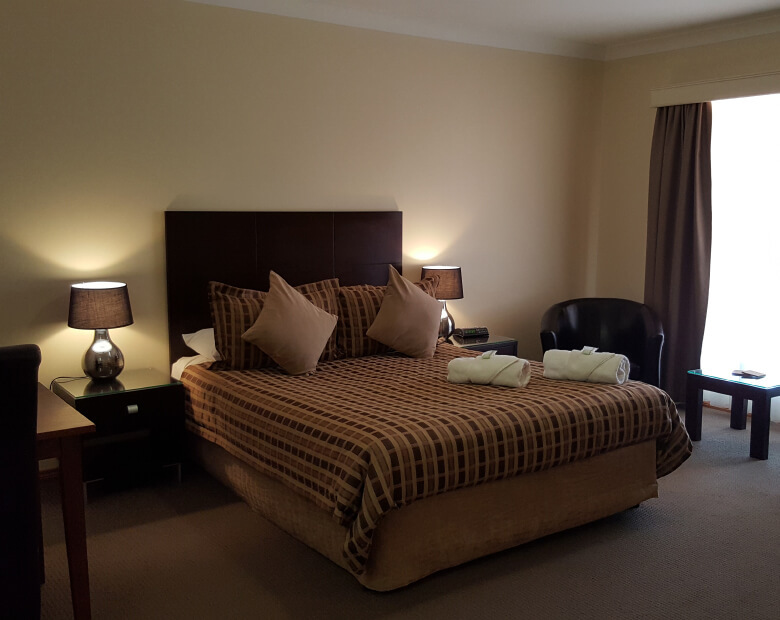 Your air-conditioned room comes with DVD and microwave upon request, laundry service should you need it and complimentary spacious onsite parking. The twin room has 1 Queen and Single bed. The fridge is stocked with refreshments, fresh milk is delivered for your in-room coffee/tea making facilities and the option of breakfast in bed daily. Your air-conditioned room comes with DVD and microwave upon request, laundry service should you need it and complimentary spacious onsite parking. The Queen Spa room has a luxurious ensuite with spa, and a separate double head shower. The fridge is stocked with refreshments, fresh milk is delivered for your in-room coffee/tea making facilities and the option of breakfast in bed daily. Complimentary toiletries, tea, coffee and biscuits included. Your air-conditioned room comes with a flatscreen TV, & DVD and microwave upon request, laundry service should you need it and complimentary spacious onsite parking. 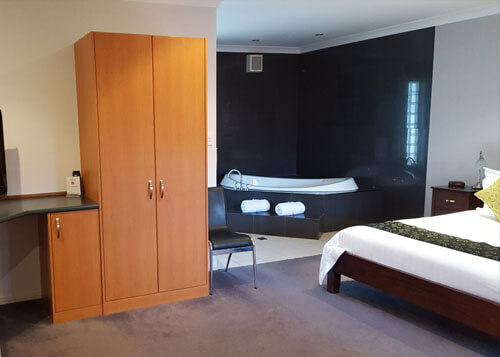 A King bed, modern ensuite with spa and a two person shower. Two comfortable leather chairs to rest on and table and chairs inside/outside the room. 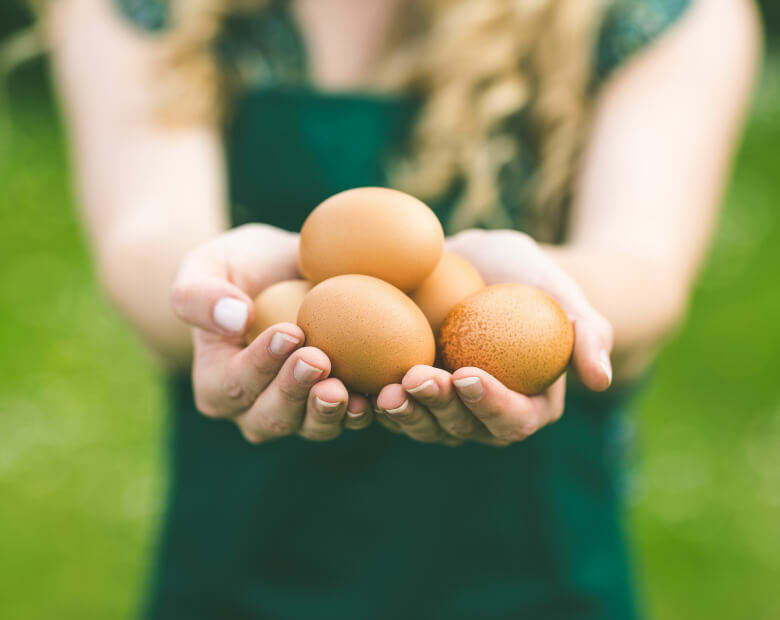 The fridge is stocked with refreshments, fresh milk is delivered for your in-room coffee/tea making facilities and the option of breakfast in bed daily. Complimentary toiletries, tea, coffee and biscuits included. 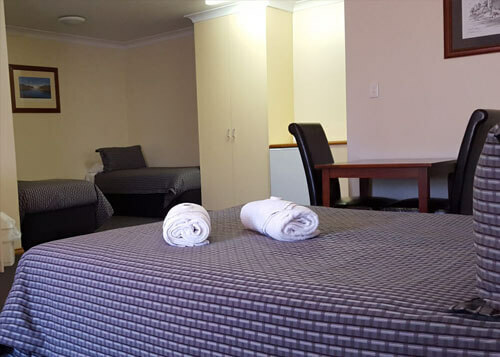 Your air-conditioned room comes with a flatscreen TV, & DVD and microwave upon request, laundry service should you need it and complimentary spacious onsite parking. A Queen bed and two single beds make this ideal room for families. Two comfortable leather chairs to rest on and table and chairs inside/outside the room. The fridge is stocked with refreshments, fresh milk is delivered for your in-room coffee/tea making facilities and the option of breakfast in bed daily. Complimentary toiletries, tea, coffee and biscuits included. Your air-conditioned room comes with a flatscreen TV, & DVD and microwave upon request, laundry service should you need it and complimentary spacious onsite parking. Queen bed and two singles in a separate room makes this great for film crews or diverse traveler groups. Two comfortable leather chairs to rest on and table and chairs inside/outside the room. The fridge is stocked with refreshments, fresh milk is delivered for your in-room coffee/tea making facilities and the option of breakfast in bed daily. Complimentary toiletries, tea, coffee and biscuits included. Your air-conditioned room comes with a flatscreen TV, & DVD and microwave upon request, laundry service should you need it and complimentary spacious onsite parking. 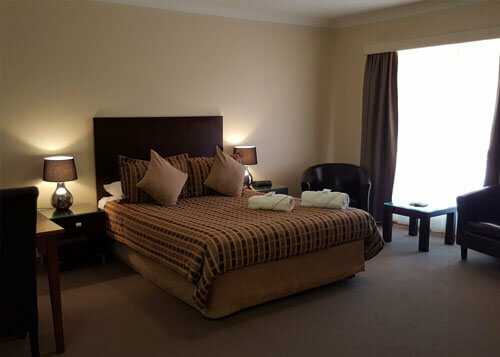 We have a spacious accessible room, with ample parking out front, easy access to the room and everything you need to make your stay with us like home. A spacious bathroom with safety rails, outdoor seating, a garden scape view from the bed and a relaxing atmosphere. 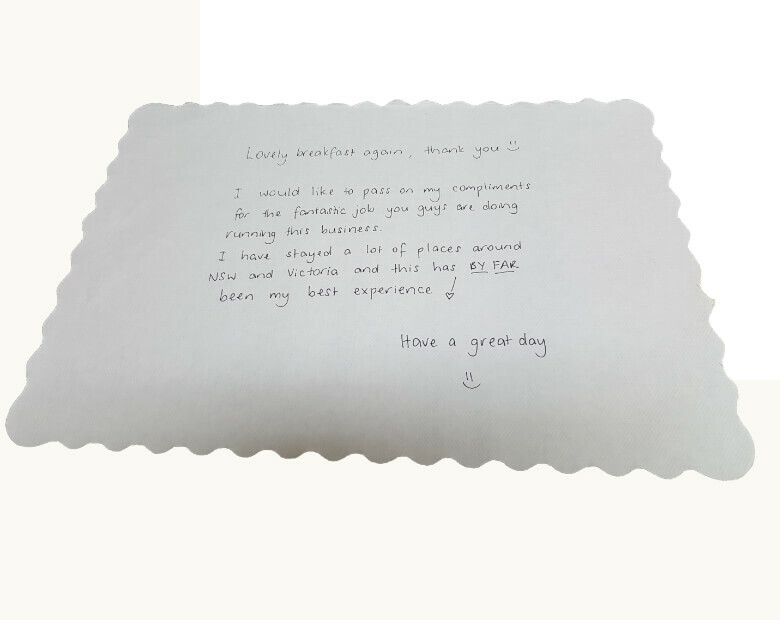 If there is anything special you require before your arrival, please call us so we can make those arrangements for you. A delicious breakfast is available daily, to enjoy in your room or by the pool. 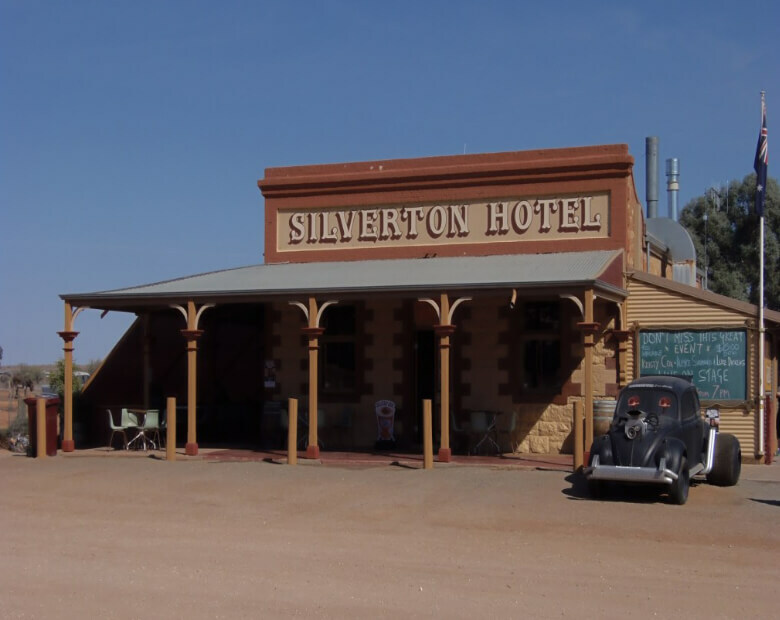 We stayed here on the way through Broken Hill. The owners were able to accommodate us towing a trailer, and gave us some good hints for an evening meal. We stayed in a room that, while not advertised as such, would have made life a lot easier for someone in a wheel chair – wider door to the bathroom, handrails, etc. 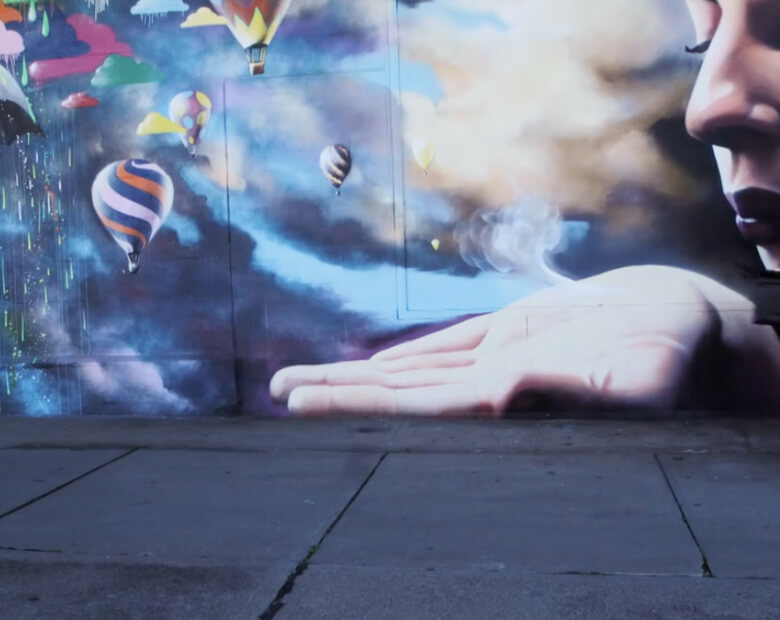 Overall, we were very impressed with this place. Clean and quiet. I recently was lucky enough to stay here for 2 weeks for work, what a fantastic motel/ hotel. 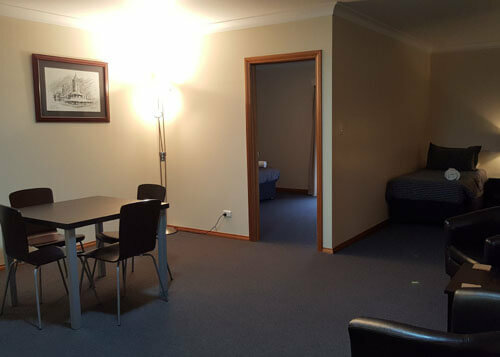 The rooms were very quiet and beautifully furnished, with a huge amount of space, even including a small dining setting and sofa. The bathroom was very clean and seemed almost newly renovated. I enjoyed an after work swim in the pristine pool with pool towels thoughtfully provided in the room too. Liz and Seb went over and above to make sure I had everything I needed, even asking if I wanted much crockery or cutlery to use in the in-room microwave. Parking was outside the door and free wi-fi was brilliant. Suffice to say I have booked my next 2 week block with them already and can’t wait to go back. Thank you for an awesome experience. What a great find this was! Just far enough out of the main stream, but not too far to travel to experience fine dining. 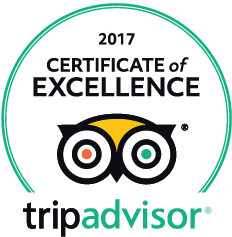 Seb and Liz are an amazing young couple who do their very best to ensure their guests have a most relaxing, quiet and comfortable stay. They are so thoughtful – as they even supply a bucket of fresh water and a squeegee outside every room to clean the bugs off windscreens, etc. I love this hotel. Great facilities, great management and a very comfortable bed. I will definitely stay here again next time. 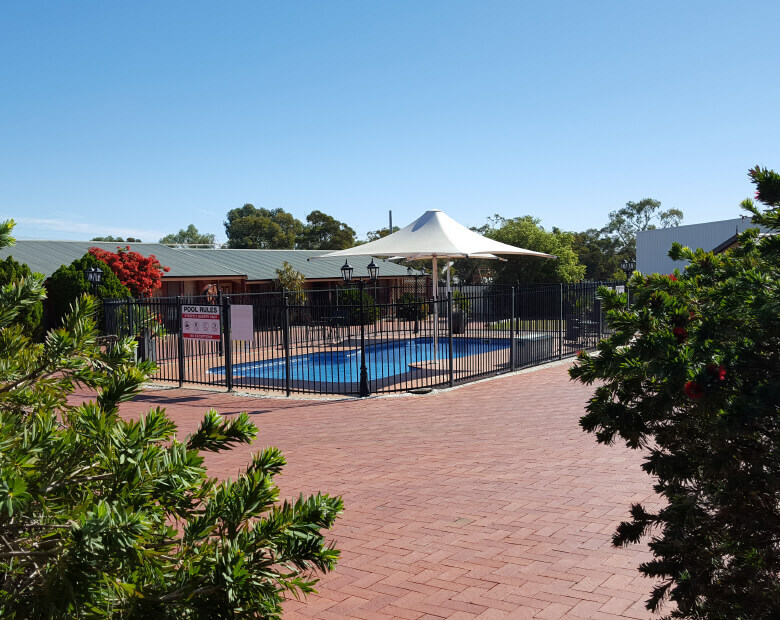 This hotel doesn’t have all the noisy traffic as most in Broken Hill do , as it is off the main road and very conveniently located to town. Stayed 4 nights at the Gateway, modern motel with spacious rooms, great shower and very comfortable bed. 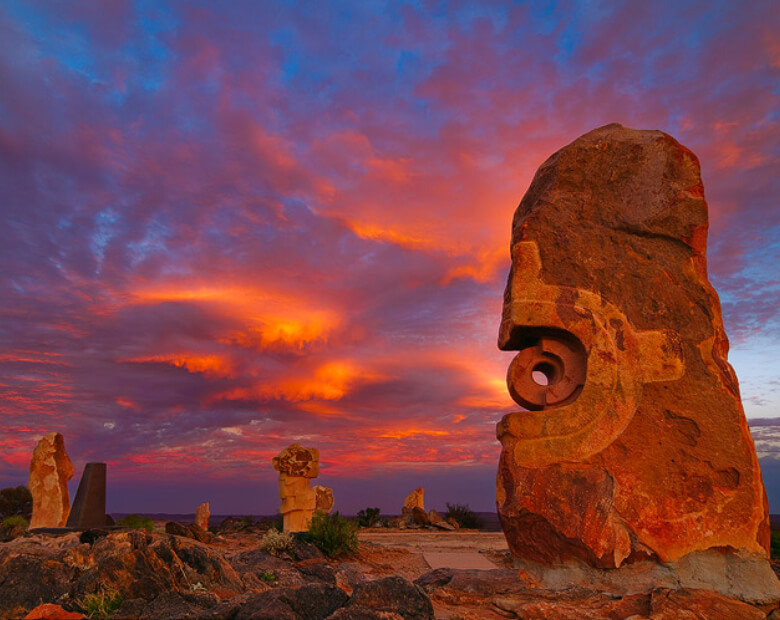 Owners are very welcoming, efficient and helpful in assisting in exploring the Broken Hill area. Would not hesitate to stay here again. 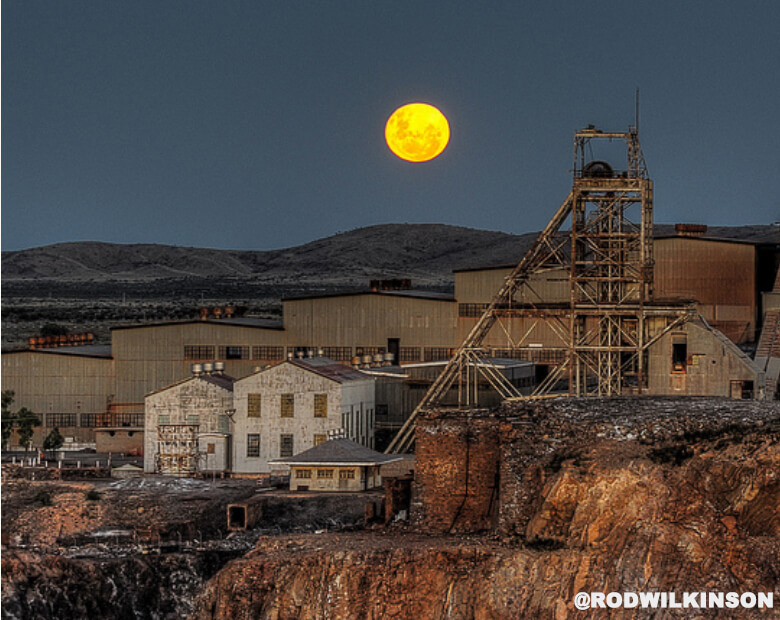 Our Location; 201 Galena St, Broken Hill, NSW. 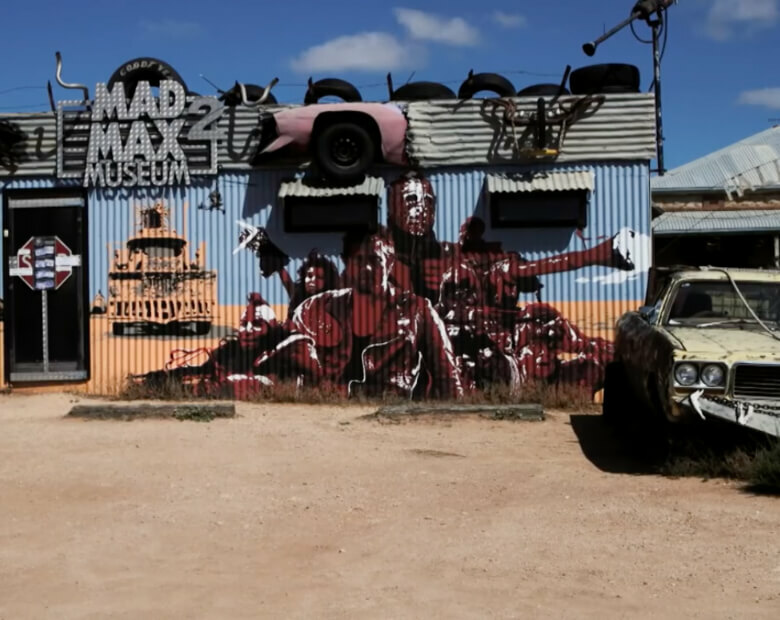 Broken Hill is the filming location of some of Australia’s well-known movies; Mad Max, Priscilla Queen of the Desert, and a Town Like Alice, just a few. 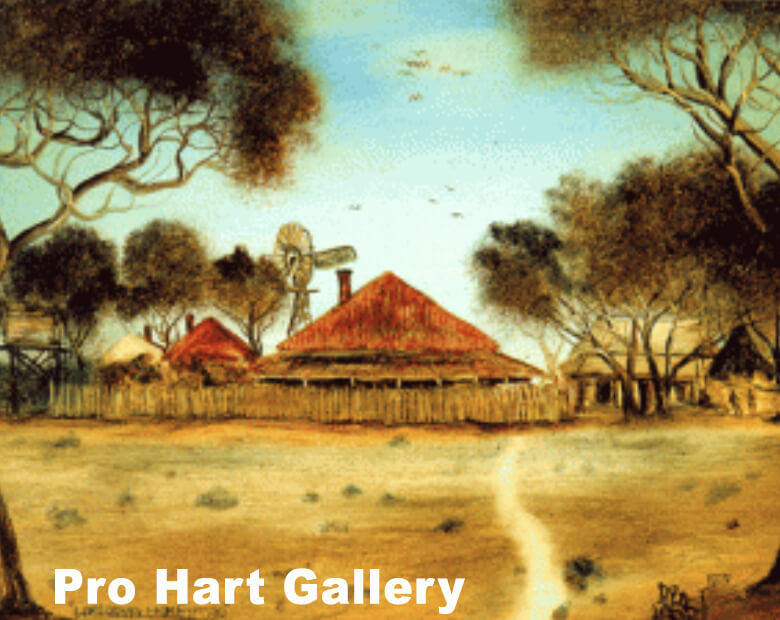 It is also the home of Pro Hart’s gallery alongside a thriving culture of artisans. 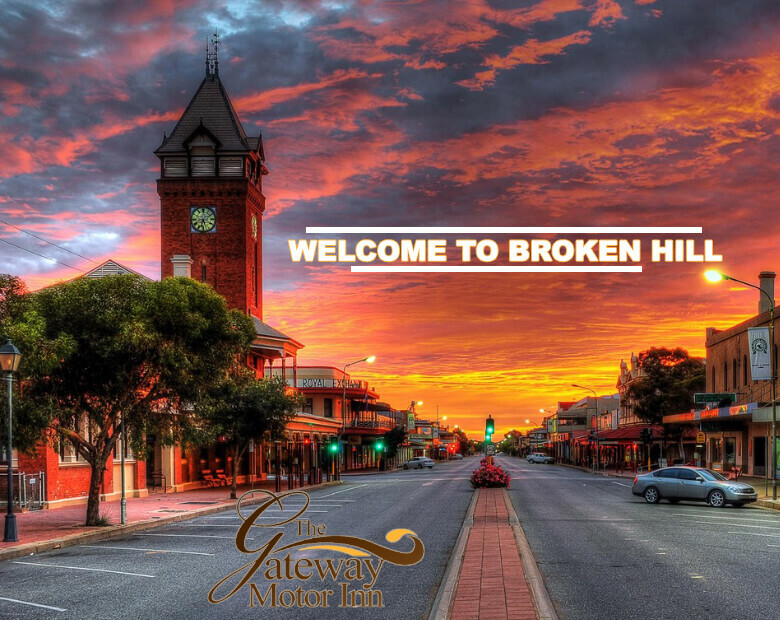 We look forward to making your visit to Broken Hill a comfortable and relaxing stay.